We trust that you will find this series informative and insightful. Many women have asked what opportunities might be open to them upon obtaining either a degree or certification in biblical counseling. As the biblical counseling movement expands, so do the opportunities for women to serve in a variety of ways as biblical counselors. Over the course of this series, you will hear from women who serve vocationally, as volunteers, in their churches, in parachurch organizations, in colleges, and a variety of other areas where they are serving around the globe. my B.A. in Biblical Studies from The Master’s University, my M.A. in Biblical Counseling from the Southern Baptist Theological Seminary, and got certified through ACBC in 2015. I am born and raised in Hawaii, where Maui has been my home for most of my life. I have been a member at Kahului Baptist since I was ten years old. 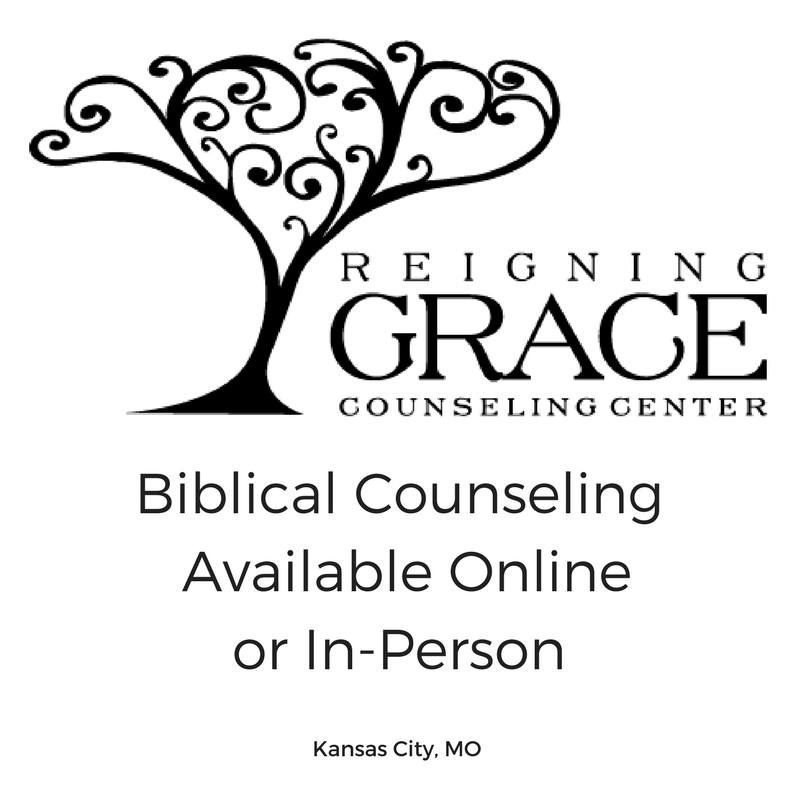 In 2016, our church launched a biblical counseling center where I have been honored to serve as the director and counselor. My hobbies and interests outside of ministry include enjoying the outdoors and different landscapes Maui has to offer, spending time with my friends, playing tennis, drinking coffee, eating local food, and reading a good book. A: I became interested in becoming a biblical counselor for two main reasons. The first, being exposed to faithful discipleship at The Master’s University. I had friends and a couple of specific women who poured into my life in a way that led me to a vibrant relationship with Christ. They challenged me to truly allow God to search my heart in order to forsake admirations and ambitions that I treasured above Christ. That left me to pursue righteousness in a way that I never had previously. From that point on, I wanted to be the kind of friend who truly cared for the souls of others. This leads to my second reason that drew me to counseling ministry. After college, I served as one of the youth leaders at my church. As I sought to disciple the girls in the youth group, I realized that I often felt ill-equipped to bring specific instruction to the various problems they were facing. After a couple years of youth ministry, I decided to pursue a degree in biblical counseling at SBTS in order to learn how to more adequately come alongside those who were suffering and entangled in sin. After graduating from SBTS in 2014, I served as an intern with One-Eighty Counseling and Education, while simultaneously finishing my ACBC Certification. I moved back to Maui in May 2015 in order to plug back into my home church. In early 2016, we began a serious discussion about opening a biblical counseling center as a church. In the summer of 2016, I was able to resign from my job and began working at the Biblical Counseling Center of Maui full time, where I continue to serve. A: I am under the direct supervision of my pastor, who serves as someone I can seek additional counsel from, helps me navigate my limits and freedoms as a female biblical counselor, and who will give direct counseling support when necessary. The other Southern Baptist pastors on the island refer their members to the BCCM and bring support and input as needed. I am grateful for the amount of unity we have within the Maui County Baptist Association, where I have open communication lines with the pastors. In addition, I have a couple of other men in my church, who I partner with to bring male presence to the counseling room when appropriate. I am praying for an ACBC certified male counselor who can play a more definitive role at the BCCM. A: I currently have a couple of women who are working towards ACBC certification who I call on for counseling support as needed. There is a great advantage to having a community of people to call on for accountability in excellence and biblical faithfulness. A: Women bring the advantage of being able to minister to other women one on one in ways that men are not able to. 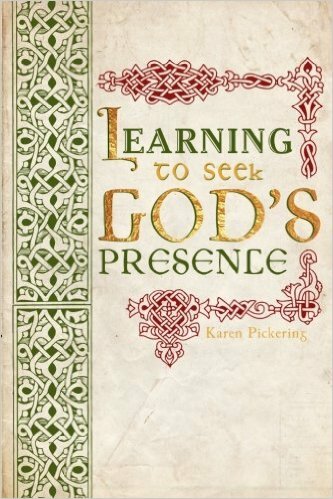 A: The two women who truly cared for my soul well at The Master’s University, are Betty Price and my RD, Meredith Ebner – women who exemplified for me biblical discipleship. They were patient with me, gave me hope when I had none, and lovingly, gently, and firmly pointed me to Christ in his word. As far as education and methodology go, Hannah Carter is the other woman who has most heavily influenced me. She was my grader for multiple classes at SBTS, helped me through my ACBC certification, and has become a trusted friend and someone who continues to sharpen me when I have opportunities to spend time and collaborate with her. and that is Stuart Scott. I took as many classes as I could with him at SBTS and have greatly benefited from his teaching and writing. I often review his notes and writings because I know how much he strives to have everything flow directly from the text of Scripture. A: I stay current as a counselor by listening to ACBC’s Truth in Love Podcast, taking advantage of ACBC’s new counseling specializations—I’ve begun the reading for these courses and will continue as the material becomes available, my goal is to attend the annual ACBC conference at least every other year, and to read any other books, blogs, and articles pertinent to my caseload. Q: What unique ways do you serve other than providing 1:1 counseling? A: The ways I serve outside of 1:1 counseling include being a client advocate at the Malama Pregnancy Center, playing a role in training volunteers for the Maui Rescue Mission, walking alongside several on Maui pursuing ACBC certification, being available to help give counseling support to a local Christian school, as well as to do group counseling, speaking, or workshops at other churches (I’ve done this several times since opening the BCCM). Since I am the only person on staff at the BCCM, I also have to do my own scheduling and administrative duties, which includes fundraising. A: One of the biggest lessons I learned in my first year doing counseling full-time is to resist the temptation to hold on to a case for longer than is helpful. To ask myself the question, and to be able to answer honestly, is my help really helping? I found myself being put in the middle of a tense situation where both parties did not have ears to hear and insisted on their own agenda rather than God’s clear word. I got stuck due to my genuine desire to help paired with the fear of man to hang on and persevere when it was time to step aside after delivering truth in love. These are principles that I learned in seminary, yet being put into real-life situations made it difficult at times to navigate putting these principles into play. There are lessons to be learned on the field that I could not learn from reading a book or in a classroom setting. A: – Never, ever, forget the essential ministry of the Holy Spirit and prayer. You will often realize your own neediness and weakness, which must lead you to look to the immeasurable wisdom and power of God at your disposal as you go to the throne of grace. 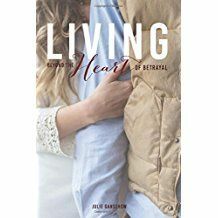 – Expect spiritual mountaintops as you get a front row seat to God’s work in sanctifying his children as well as spiritual valleys as you are exposed to darkness and hardness of heart, possibly in ways you never imagined. In all of this Christ is your rock to be praised and to find refuge in. 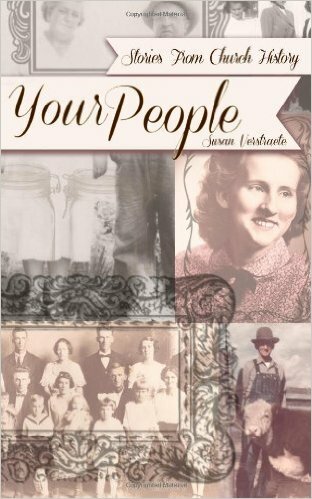 – Be sure to regularly be ministered to by your local church—through the preached word, fellowship, seeking wise counsel from those around you. Don’t be afraid to ask for help. – Always seek to be a student of God’s word. – Pursue humility. Be diligent to keep a watch on your own heart. Don’t identify primarily with being a biblical counselor, but rather with who you are in Christ, always abiding in him. Q: What blessings has the ministry brought you? A: The blessings are innumerable and far outweigh the cost. It amazes me day by day that I get to spend my time pointing others to God in his word, to be relational, and to see others grow in their walk with Christ. I have also been blessed to see God’s hand of financial provision for the BCCM. A: Being a counselor is growing me in many ways—knowledge and understanding, patience, learning to submit to God’s plan and timing, relating to different types of personalities, motivation towards personal holiness and discipline, strengthening my own faith as I witness people repent of sin, and persevere in faith during intense trial. 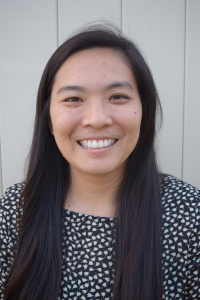 A: I would like to see the BCCM grow to have multiple counselors and a devoted administrative staff member. A: A typical ministry week looks like 2-3 counseling sessions per day, meeting with my prayer partner, doing volunteer work for Malama Pregnancy Center, administrative and scheduling duties, and reading and studying to keep my mind sharp. A: To manage my own spiritual health, I meet with a woman from my church once a week for accountability and prayer, stay active in serving my local church, spend time praying through the Psalms, read Proverbs, memorize Scripture, and read the Bible for depth and breadth. Q: Ministry can be draining and exhausting. How do you recharge? A: I recharge in various ways including: dinner and game night with my best friends and their families, going on walks, playing sports, going to the beach, babysitting my friend’s children, enjoying eating at a good restaurant, spending time with my family (my parents, grandma, and brother), playing music, doing something fun with my roommate, and I also recently got a cat. I love living on my island home, Maui, as it is quite easy to be refreshed with the beauty of God’s creation. I get to praise and thank God every time I drive from A to B. A: Please pray for true counselees, hungry for God’s word, for the Spirit to produce fruit in the lives of those coming to the BCCM, for wisdom and understanding, for more financial partners so we can continue doing ministry for many more years, for an ACBC certified male counselor, that I would continually draw near to and treasure Jesus every day of my life. and the compassion and nurturing spirit they bring to counseling. Thank you, Paula, for sharing your heart for the ministry of biblical counseling with our readers today. May God richly bless you as you continue to serve Him! 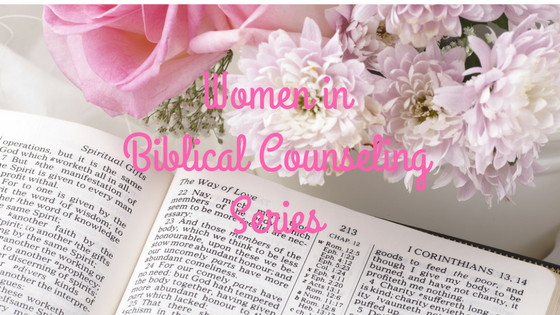 This series of interviews has been conducted by Ellen Castillo, a Biblical Counselor and the Director of Word of Hope Ministries, Inc., on behalf of Biblical Counseling for Women. You can connect with Ellen at www.wordofhopeministries.com and www.biblicalmentor.com.